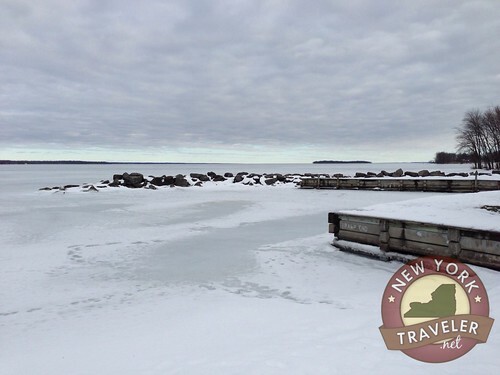 Last week, I had the opportunity to visit an old childhood destination: Oneida Lake. I was surprised to see that much of it was frozen. The temperatures had moderated quite well during the January thaw, but the lake still had some good, thick ice on the surface. 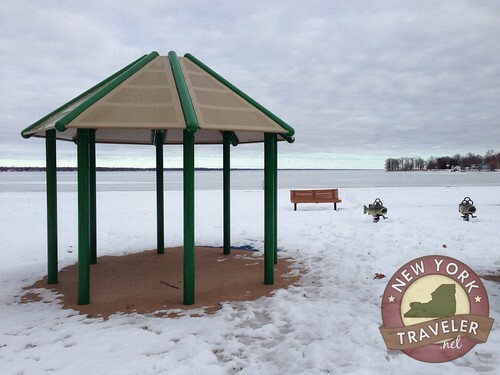 This photo was taken from the boat launch at Oneida Shores Beach (I think it’s a state park now?). You can see tiny Frenchman’s Island in the distance. I always wanted to go to that island as a child, but never did. This photo was taken from the beach, near the monstrous building that houses showers and dressing rooms. That building did not exist when I was a kid, nor did any of these playgrounds, benches and gazebos. They’ve really spruced the place up.